Film and television actor John Krasinski, who stars as a former Navy SEAL in the upcoming, real-life motion picture thriller “13 Hours: The Secret Soldiers of Benghazi,” served as the Grand Marshal for the AAA Texas 500 NASCAR Sprint Cup Series race held recently at the Texas Motor Speedway. 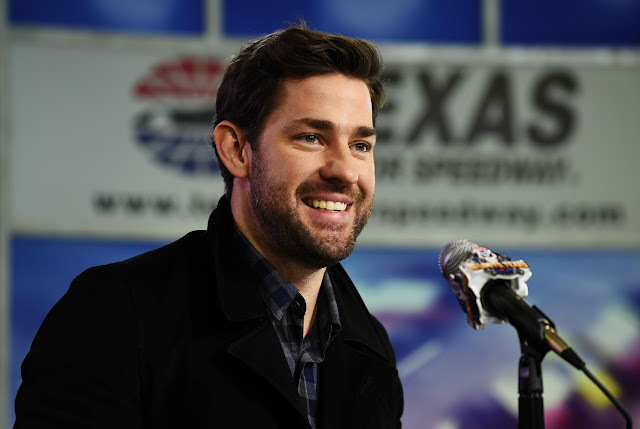 Krasinski, an actor, writer and director, gave the command for the Sprint Cup Series drivers of the 43-car field to start their engines in front of a crowd that annually comprises one of the largest-attended, single-day sporting events in Texas. 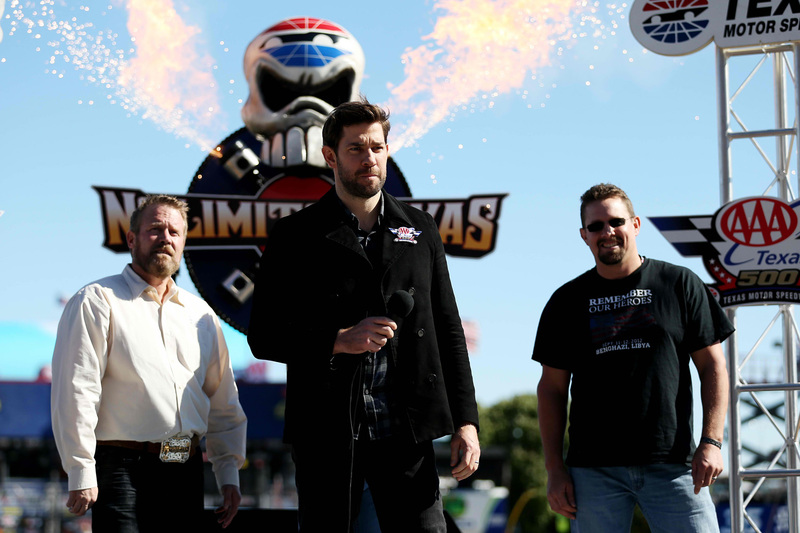 "It's a huge honor to be asked to serve as this year's Grand Marshal," said Krasinski. 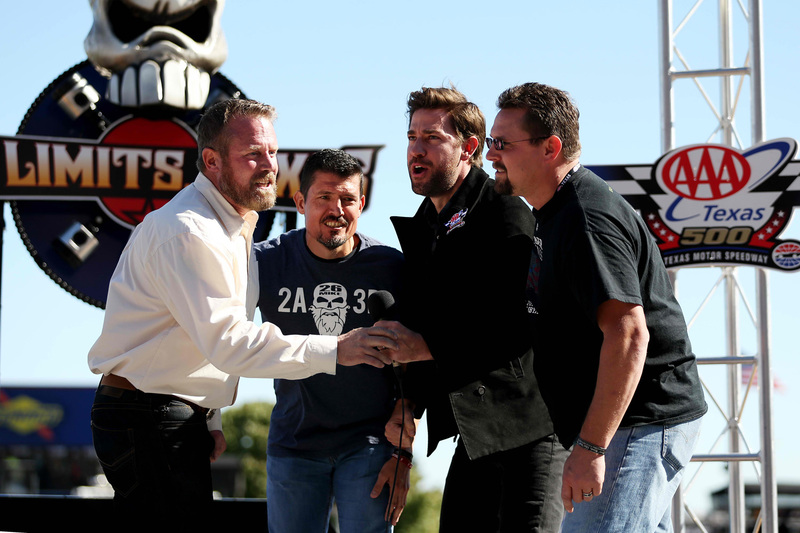 "I am really excited to be at NASCAR and see Jeff Gordon race for one of his last outings." 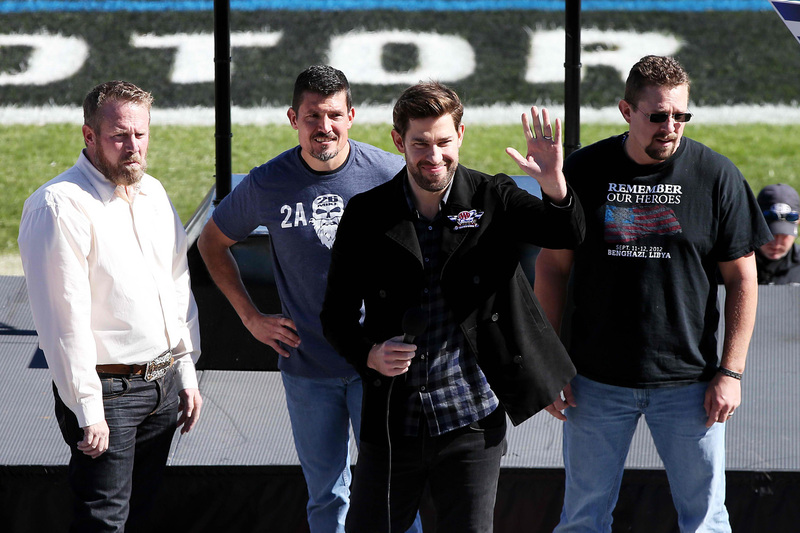 Krasinski will be joined on the Grand Marshal stage by three of the heroes from the CIA annex security team that fought off Islamic militants on Sept. 11, 2012, in Benghazi, Libya. Mark "Oz" Geist, Kris "Tanto" Paronto and John "Tig" Tiegen are elite ex-military operatives that were part of the small security team that helped ward off the terrorists that attacked U.S. diplomatic facilities in Benghazi and were responsible for saving many American lives. Paramount Pictures' “13 Hours: The Secret Soldiers of Benghazi” is directed by Michael Bay from a screenplay by Chuck Hogan, based on the book 13 Hours by Mitchell Zuckoff and members of the Annex Security Team. The film stars John Krasinski, James Badge Dale, David Denman, Dominic Fumusa, Max Martini, Pablo Schreiber, and Toby Stephens. Krasinski is perhaps best known for his role as the charming boy-next-door Jim Halpert on NBC's Emmy®-winning smash hit The Office for nine seasons. He won Screen Actor Guild Awards in 2007 and '08 for outstanding performance by an ensemble in a comedy series. His recent film credits include the Gus Van Sant-directed Promised Land, also in which he stars and co-wrote with Matt Damon; Disney Pixar's Monster's University in which he lent his voice; legendary Japanese filmmaker Hiyao Miyazaki's latest animated film The Wind Rises; and Cameron Crowe's Aloha. His additional film roles include performances in the uplifting family film Big Miracle; Something Borrowed; Nancy Meyers' It's Complicated; Sam Mendes’ Away We Go; the animated smash hits Monsters vs. Aliens and Shrek the Third; George Clooney's Leatherheads; Ken Kwapis' License to Wed; Christopher Guest's For Your Consideration and Bill Condon's Kinsey. 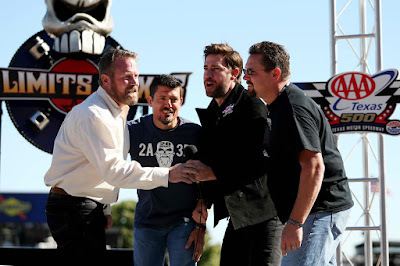 “13 Hours: The Secret Soldiers of Benghazi” opens across the Philippines on January 13, 2016 and is distributed by United International Pictures through Columbia Pictures.